Thee Deliverator was an ordinary EVE player. But that was about to change. One fateful day, Deliverator watched a Twitch stream hosted by Zaenis Desef, who was demonstrating the art of miner bumping. Something stirred inside of Deliverator, something he could not explain--or ignore. 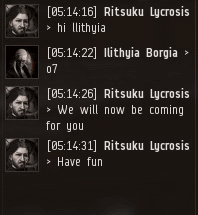 He went to Jita and purchased a Stabber. Thee Deliverator > Narzelath Stark Mining without a permit eh? Narzelath Stark > permit from whom? you? Deliverator found a miner in a random system, closed his eyes, breathed a deep sigh, and let fate take over. There was no turning back now. Deliverator had just committed a revolutionary act in the name of the Code. The Ahtulaima system witnessed a transformation in Thee Deliverator. He was a bumper now, and an Agent of the New Order. The way he was viewed by the rest of highsec immediately changed. Only a few minutes after Deliverator first activated the Stabber's microwarpdrive, he received his first piece of correspondence. It was evidence that he'd taken a side in the battle of good versus evil in highsec. Ritsuku Lycrosis > I am a proud Goofus because I can be. Your rules can't change that. Ritsuku Lycrosis > do you buy into this "code" too Alecia? 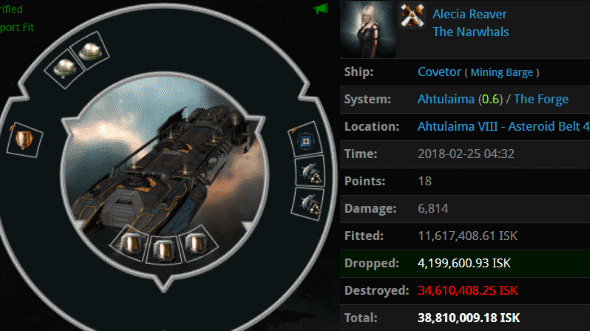 Alecia Reaver > they never even talk to me, they just shoot. Deliverator was surprised by how quickly his decision to bump miners was making an impact on the world around him. He'd never seen anything like it. And though he didn't expect it, the newly minted Agent was about to cross paths with a veteran Code enforcer. Out of nowhere, Agent Ilithyia Borgia entered the system and ganked Alecia Reaver's Covetor. The gank occurred just moments after Alecia complained in local about Agents not warning miners. Instant karma. Deliverator received another EVEmail, which was quickly followed by an invitation to join a private convo with its author. Quintas Maon > you trying to extort my miners? Quintas Maon > what law? The miner in question was Quintas Maon. He belonged to a corporation known as Guardia del Dragon. He'd been watching Deliverator's bumping antics, and he didn't like what he saw. Quintas Maon > ive looked at your bs website. Deliverator hadn't been keeping track of the corp affiliations of all the miners; he simply bumped anyone who didn't have a permit. Clearly, though, one of the bump-hurt miners must've belonged to Guardia del Dragon. Thee Deliverator > Why should I think long and hard? What kind of consequences could I incur? Quintas Maon > these are open areas and we will not bow to your demands. Quintas hinted at the existence of some higher power pulling strings in his favor. However, when Deliverator watched Agent Ilithyia gank an unlicensed Covetor, he realized an important truth: As an Agent of the New Order, he was the one with friends in high places. Behind the scenes, Deliverator contacted Ilithyia and requested an air strike. She happily complied, dropping a gank on a Retriever pilot who belonged to the Guardia del Dragon corporation. Quintas Maon had only succeeded in drawing extra attention to the miners in his own corp.
An hour after bumping his first miner, Thee Deliverator found himself in the middle of a war. The battle lines were drawn. Going to grab some popcorn for this one. Quintas Maon needs to be ganked until he shuts the fuk up. I'm looking forward to read more about our new agent's adventures! Thee Deliverator is no slouch. Good job Agent, may you bump miners until they leave highsec, or EvE, either way EvE wins. "Part of the game and my enjoyment of it is getting to ignore rules.... I am a proud Goofus because I can be." This may be an important bit of miner psychology that we tend to overlook. Some miners get a thrill from being a rebel and stealing James 315's ore. Not that it changes anything. Criminals tend to commit crimes, no psychological issue, just a clear lack of a proper upbringing. Shitters are always blaming others for their lack of self control. "Behind the scenes, Deliverator contacted Ilithyia and requested an air strike." There's no air in space. It was a metaphor you uncultured git. "the bombing or strafing of a city, enemy force, etc., by military aircraft"
The target in this case was a spacecraft, not a ground object. Here's a Free Tipoff, Every End of the month. There are 3 Botters flying each a Charon at the same time full of compressed ore to the nearest Trade Hub Dodixie. Their Names are Neamnik13 ru, Fantom17, MiraMaxRu. All in the same corporation. they always mine in system called Alles 23/7 DT to DT. they are on the move right now. 18:00 EVE. 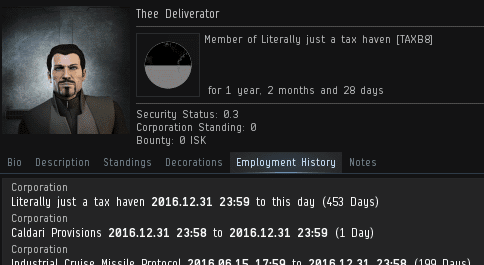 I've reported them to CCP 6 years ago, yet they are still around. 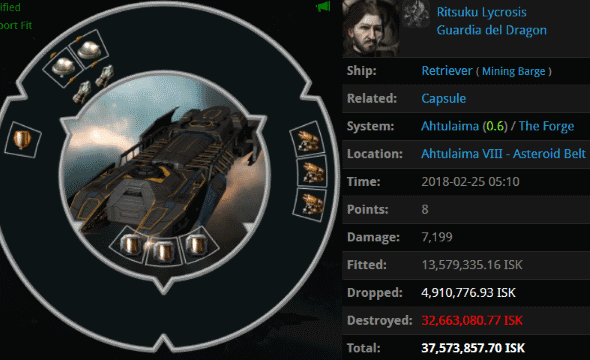 i've grown tired of CCP's incompetence. Only CODE. the suposidly saviours of highsec are now the only ones who can do something about it. if you can't then i at least know you are just as incompetent and nothing more than a bunch of peter puffers. Prove me wrong. or else i've just proven my point. and you don't want to look bad in public do you? LOL CODE. is so useless they only know how to gank Newbro's, people who don't even know how to fight back! GG bunch nazis. Strange... I've met Ilithyia Borgia couple of days ago. She mumbled about these mining permits and The Code like a true cultist.